Elvis Aaron Presley was born January 8th, 1935 in Tupelo, Mississippi. He lived there until he was 13 years old, and it was these formative years in Tupelo that shaped Elvis into the man that he became. His hometown celebrates his life and welcomes visitors to do the same, most notably at the Elvis Presley Birthplace. 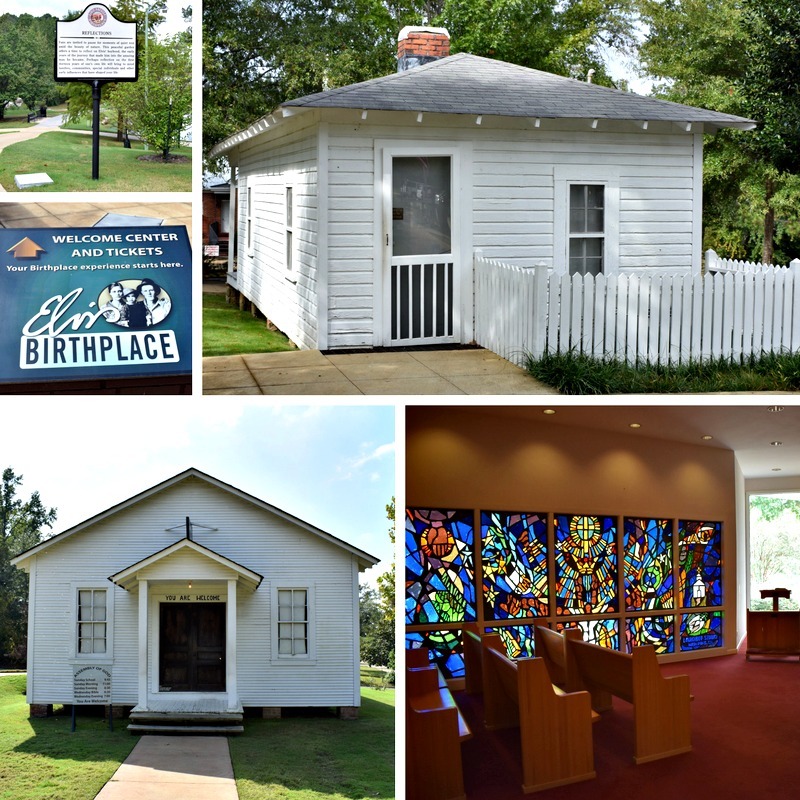 The Elvis Presley Birthplace, Museum, Memorial Chapel, and Elvis Presley Park make up the Elvis Presley Center. Each year, more than 100,000 visitors from around the world stop to see the Elvis Presley Birthplace. 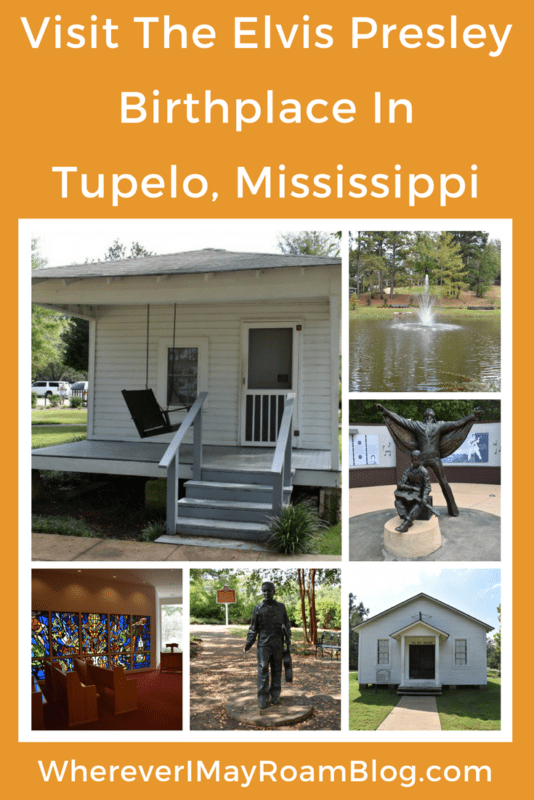 Come get to know Elvis in his hometown, Tupelo, Mississippi. 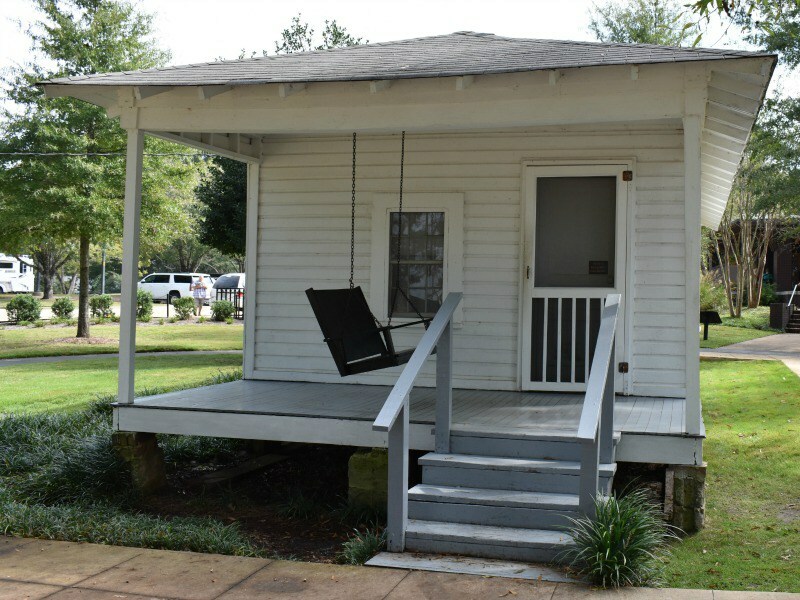 Obviously, the biggest attraction at Elvis’ Birthplace is his birth home. The Presleys lived in a small two-room house built by Elvis’ father, grandfather, and uncle. You can walk through the home and see the house as it was when Elvis lived there as a child. Have you ever wondered where Elvis was first exposed to Southern Gospel music? You can see it, too, at the Elvis Presley Birthplace! The building where Elvis and his family went to church has been moved onto the property. Visit the Assembly of God church for a multimedia presentation and experience a Pentecostal service from the 1940’s, much like Elvis would have. The “Elvis at 13” statue is very popular. It shows Elvis in oversized overalls, an open-collared shirt, and plain shoes symbolizing the humbleness of his early life. “Elvis at 13” is life-size so his fans can relate to him as a person. At the top of Elvis Presley Park is “Becoming”, two statues with one name. It depicts the transformation of Elvis from child to entertainer; a worldwide phenomenon with a humble spirit. The Walk of Life is a concrete circle around the birthplace comprised of granite blocks. Each one represents one year of Elvis’ life (1935-1977). The Fountain of Life has 13 upper waterspouts representing the 13 years that Elvis lived in Tupelo and 29 lower spouts for Elvis’ life in Memphis. A 1939 green Plymouth sedan sits outside of the complex in the Memphis Bound exhibit. The car is a replica of the one that the Presleys took leaving Tupelo for Memphis. Elvis, “The Boy”, is shown throughout the museum and along the Story Wall, where childhood friends divulge what his childhood life was like. 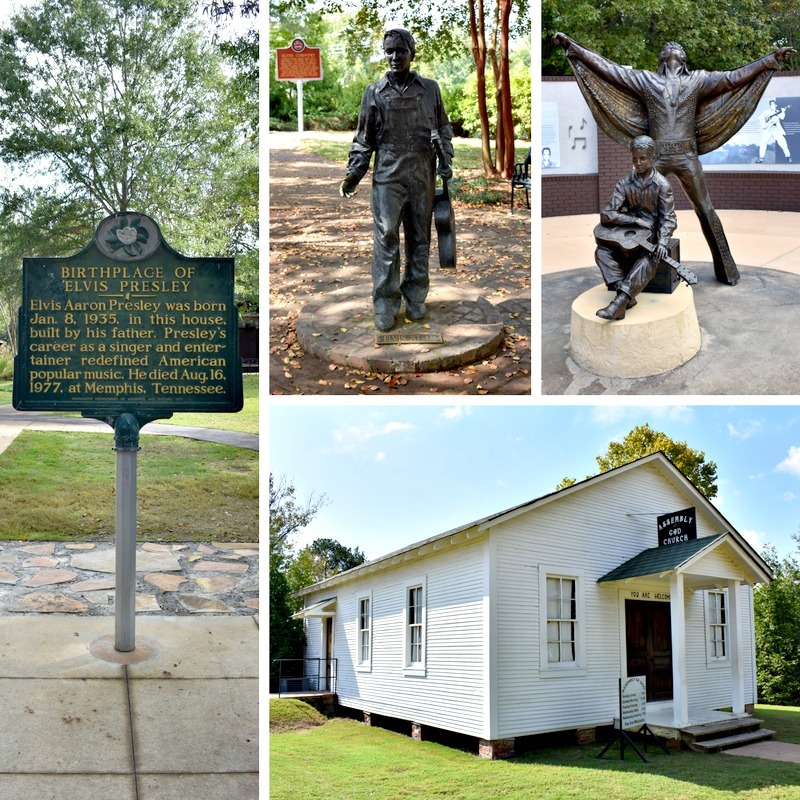 I visited the Elvis Presley Birthplace when I was in Tupelo, and although I enjoyed all aspects, these were my favorite parts. I enjoyed getting to know Elvis before he was famous. There are three Mississippi markers on the property: Historic Site/National Landmark, Country Music Trail, and Blues Commission. Other things to see include the Bridge Over Troubled Waters and Elvis Presley Memorial Chapel. Don’t forget to stop by the Gift Shop! It has more than 2,000 Elvis Presley items for sale. The Grand Tour (going inside of the house, chapel, and museum) is $17 for adults, $8 for ages 7 to 12, and free for those under 7. The price for students (ages 13 to 18) and seniors (over 60) is $14. To tour just the house, the cost is $8 for adults (including students and seniors) and $5 for ages 7 to 12. Everything else at the Elvis Presley Center is free. Whether or not you are a die-hard Elvis fan, come get to know Elvis Presley as a boy, before he became the King of Rock’n’Roll. Even if you do not want to spend money touring his birth home, the grounds are worth a visit. It is a beautiful place! 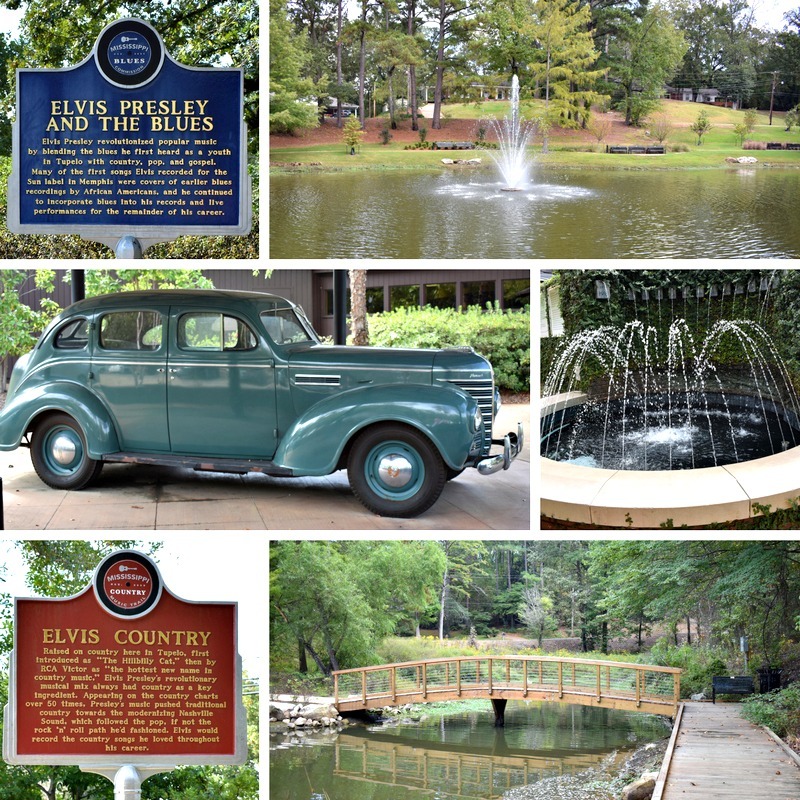 Here are some other ways you can experience Elvis in Tupelo! My visit to the Elvis Presley Birthplace was paid for by the Tupelo CVB. As always, all opinions and reviews are completely unbiased and my own.